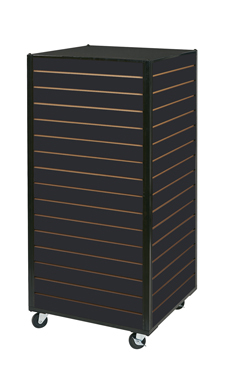 The Metal Framed Rolling Slatwall Tower is a versatile display that can be easily moved throughout your store. This display allows you to merchandise on all four sides. Comes with casters included and in a neutral black color to coordinate with other pieces in your store.